It took 60 years since graduation, but the Class of 1957 admitted its first female member on June 13. Ida Rotman P’57, ’57a, mother of Barry Rotman ’57 Tu’58 P’85 and grandmother of Alan Rotman ’85, was officially adopted into the class at the 60th Reunion dinner on Baker Lawn. 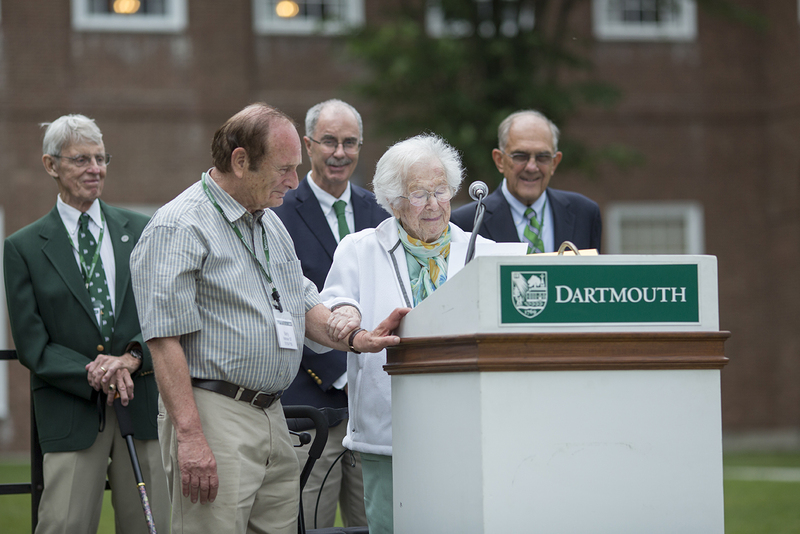 One of Dartmouth’s most consistent supporters, Ida has given to the Dartmouth College Fund consistently since Barry graduated 60 years ago. To make the evening even more special, the adoption took place on the eve of her 104th birthday. Class adoption honors those who have made a significant impact on the College or the adopting class. An adoptee is signified by the class year, followed by a lowercase “a.” Both President Philip J. Hanlon ’77 and Bruce Bernstein ’57, president of the Class of 1957, spoke of Ida’s contributions to the Dartmouth community. In speaking to the class, the guest of honor noted her pride in sending Barry to Dartmouth, saying that her own parents could not afford to send her to college after her high school graduation in 1929. Instead, Ida attended secretarial school so she could contribute to her family. 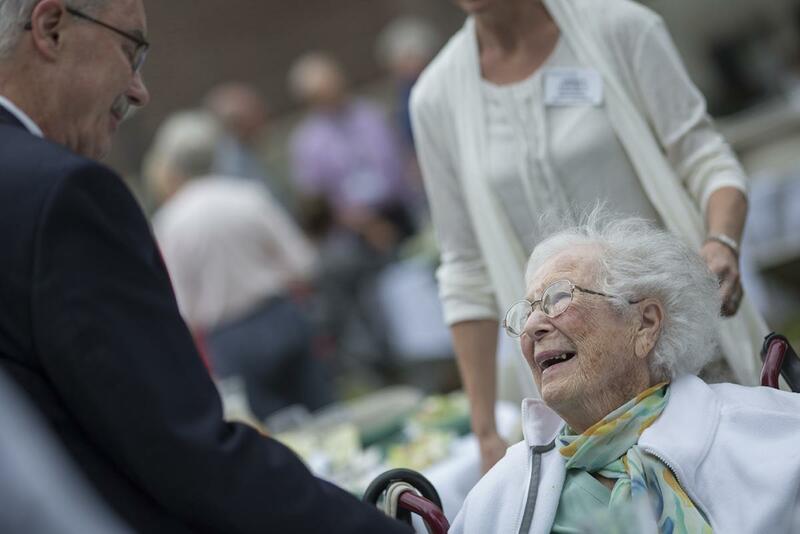 Ida expressed her gratitude for the award by pledging to continue her support of Dartmouth. As she left the stage, the Class of 1957 broke into song, singing “Happy Birthday” to the centenarian.